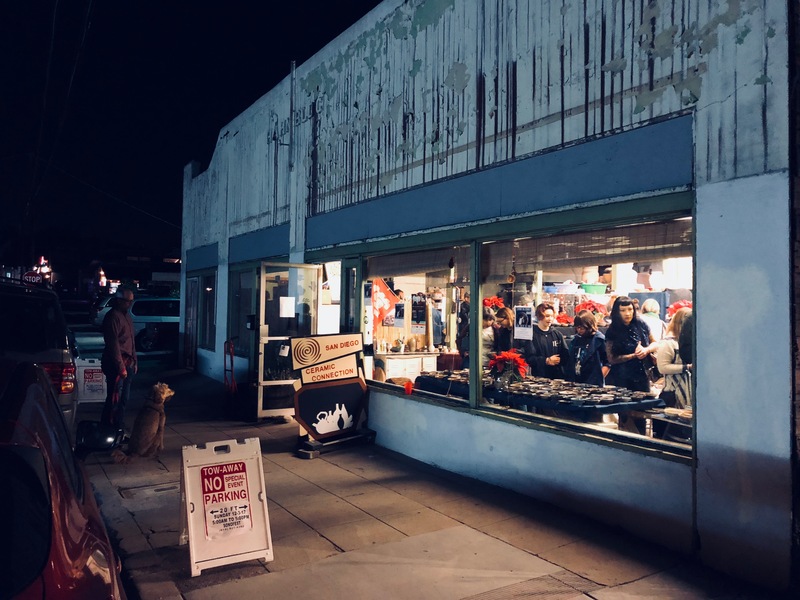 I love my ceramics studio, the San Diego Ceramic Connection. For me, it’s so wonderful to step into this space, be myself and get my hands dirty. My two instructors, Kinley and Erika, with Kouta in the middle. 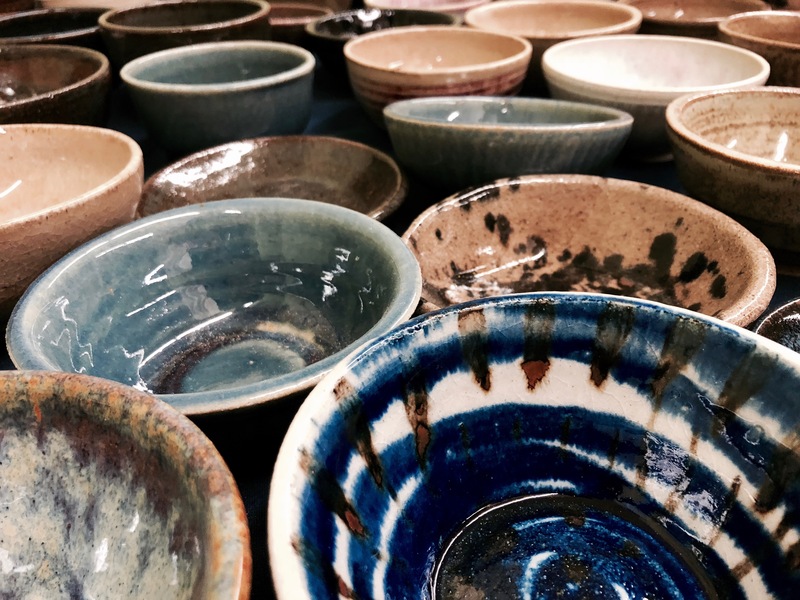 And it turns out I have one more reason to love it… the 20th Annual San Diego Ceramic Connection Community Chili Potluck/SoNo Fest and Chili Cook-Off. 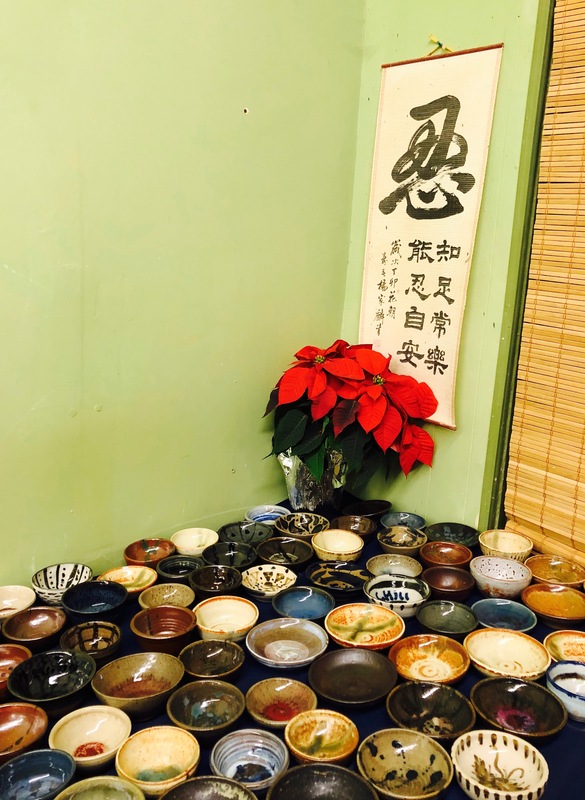 For those interested, here is the link with all of the information but essentially, SoNo Fest humbly began years ago with Kouta Shimazaki, the owner of the studio and master Japanese potter, who wanted to help out at his son’s school. 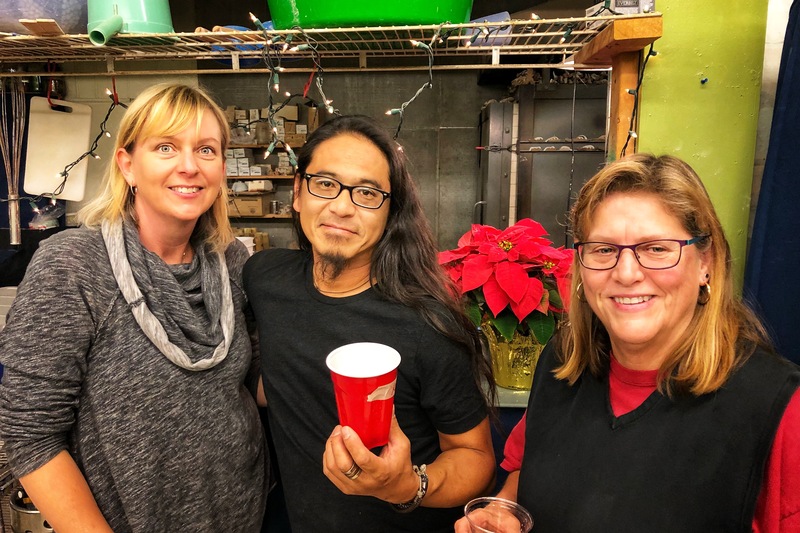 Kouta began as a volunteer at McKinley Elementary because there was no budget for an arts program. 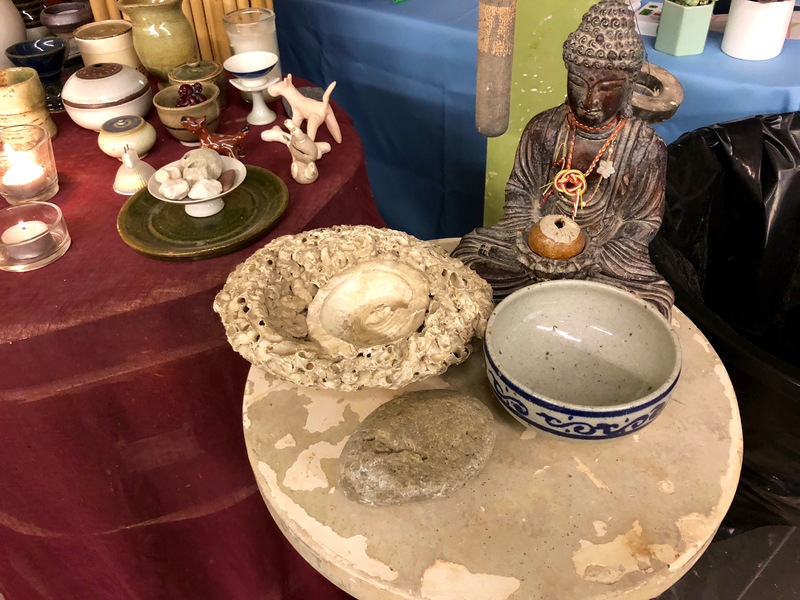 Throughout the years, his volunteer and fundraising efforts grew so much that today, the money raised at this event supports the school’s ceramic, music, dance, garden, art and Spanish programs. Here is a person who saw a problem and did something about it. Here is a person who is changing the lives of children and building a community along the way. Remarkable. 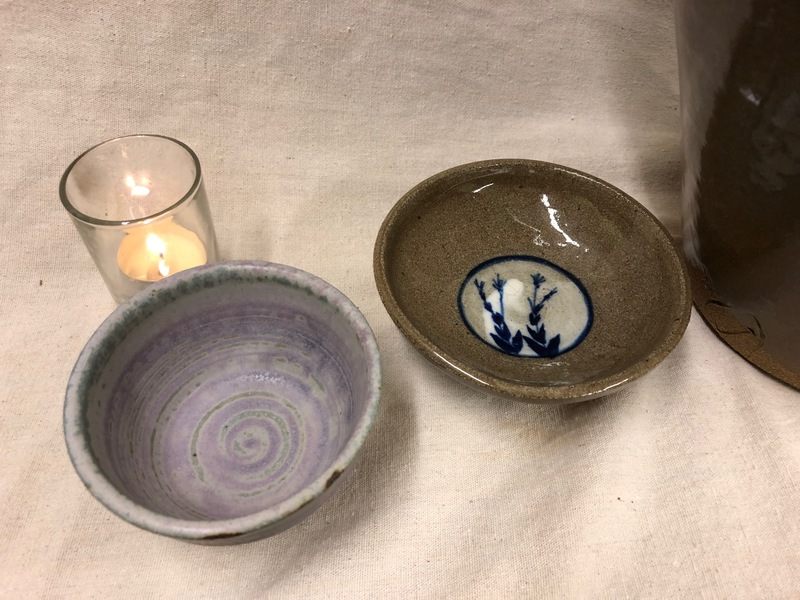 Below are some photos at the ceramics pre-sale last Friday night. 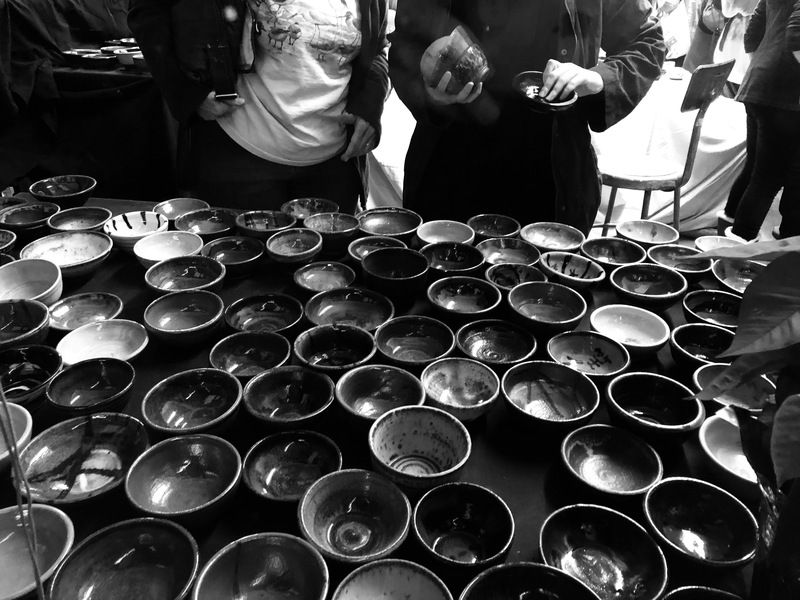 All of the ‘chili bowls’ were made by volunteers; the entire event is run by volunteers.